Anyone who has even been to college can confidently say that they had been under a lot of stress with all the exams and the constant responsibilities. Keeping up with everything can be pretty tough on just about anyone and there are very few ways which can help you cope with the anxiety. Yoga has been used for years in order to promote not only physical but also mental health. It encourages relaxation and it helps the body build up strength. College students can truly benefit from yoga if they incorporate it into their everyday lives. Here are just some of the ways in which it can prove useful. The very first thing yoga is known for is helping people from all around the world find a way to relax and take some time out of their everyday lives to simply stop thinking and rest their minds. Practicing yoga is a great way to let go of everything that stresses you out and it can help you feel truly refreshed after a quick session. The best thing about yoga is that it can truly help you deal with your anxiety. Through all the methods used to induce relaxation, yoga can teach you a few breathing patterns and trick which can help you cope with stressful situations. There are a number of studies which have studied the effects of yoga on people struggling with anxiety disorders and they have shown that it can, in fact, help decrease the symptoms of anxiety. If you’re one of these people who never have time to go to the gym but want to stay fit and take care of your body, then yoga could truly help you keep your weight under control. Not only will yoga help your body grow stronger, but you may also be able to reduce inflammation in your body and improve your heart health. Yoga can help you achieve a healthy body and a healthy mind. In any case, you will be able to feel better and that will only help you perform better in every aspect of your everyday life. Another very common problem for many college students is sleep deprivation. Most college students tend to stay up late and that can truly affect their quality of sleep and their energy levels. There are studies which have shown that people who practice yoga manage to fall asleep faster, stay asleep longer and manage to feel more well-rested in the morning, than others who don’t. Getting enough sleep will help you memorize things easier and get through your days with less effort so you should probably consider giving yoga a try. Yoga has a lot of effects on those who practice it, but one of the most important ones is its anti-depressant ones. The different breathing techniques involved with yoga can help you not only feel better physically but they can also improve your mood. It is believed that yoga helps to naturally increase serotonin production. Serotonin is a hormone which helps increase feelings of euphoria and happiness in the body and plays a very important role in the treatment of depression. One of the things that yoga teaches is concentration. If you want to be able to maintain a certain position for a certain amount of time you will have to be completely concentrated on what you are doing and you will have to rid yourself of all other kinds of distractions. By practicing yoga you will be able to implement this in your daily life and even if you struggle with concentration you will most likely be able to start working on this problem. Marie Fincher, educational expert from Trust My Paper company has talked more than once about her personal struggles with lack of concentration: “Yoga can help you find a unique way to focus on what you’re doing and it will truly change your everyday life”. There are many college students who can’t afford a gym membership or who simply couldn’t bother with going to the gym. Yoga offers a way of exercising which can happen in small groups and there are many student groups which offer lessons for a small amount of money. Through these small groups you will not only be able to exercise and do something positive for your body but you will also be able to get to know quite a few new people and socialize on the regular. This will only be positive for you as you will be able to make more friends, boost your self-esteem and see your college years from a different perspective. Every college student should take some time out of their day to practice yoga. Not only is it a great way to add some exercise into your daily life but it can also help you improve your sleep, your concentration and your mental health. While you might think that not all of these things will directly help you improve your college performance, you have to keep in mind that studying long hours and doing well in exams isn’t the only important thing about your college years. 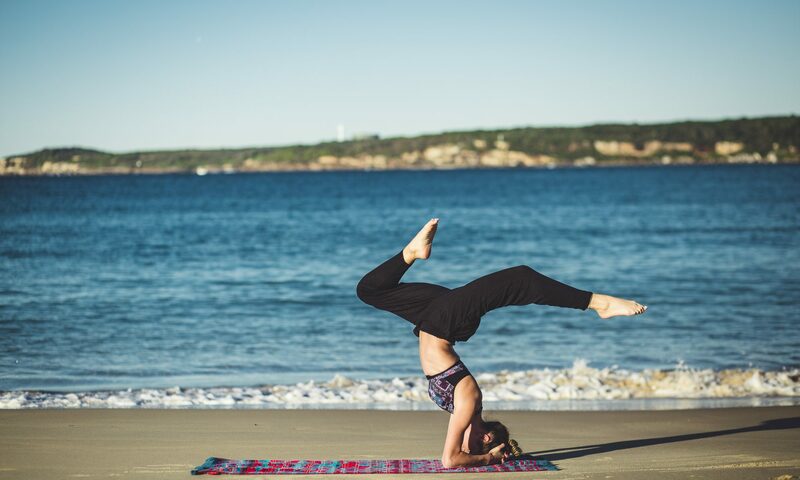 Staying healthy both physically and mentally is important for everything related to your college experience and yoga can help you start building some good habits for your future. Previous PostPrevious What does it mean to be present?